This week LGBTQ Arts’ Michael interviewed rapper Didactic MK (AKA Sirina-Monique) for the Youth Review. 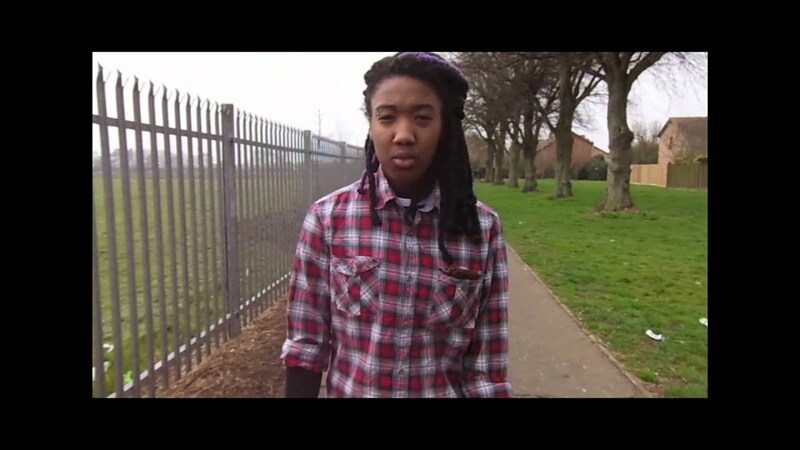 She is a Midlands based rapper, using her music to challenge attitudes and discrimination towards against lesbian, gay, bisexual and trans people. In this interview Michael talks to her about her music, her ambitions and changing attitudes. For me, one of the most resonant lines in “Tribute to Stonewall” is: “I am my own encyclopaedia”. Could you expand on what this means? “I am my own encyclopaedia.” basically means that what I do, who I am and what is of me is written in me, it’s my body, it’s my mind therefore my business is my own, it’s my heart I love who I love. Nobody can try to re-write me I am the original. No one can shape the real me into what they want me to be. I am me now let it go. Do you embrace labels like “queer art”, or do you find such monikers reductive? To be honest I am not a big fan of the word queer. I’ve looked up both meanings in the dictionary, and I think it just gives homophobes that little leeway in being offensive in a way it looks like they aren’t. Because we are not “slightly ill” and we are not “strange”. However in relation to just art, art can be ‘strange’ and it can be ‘eccentric’ in which case I feel the word is appropriate so long as it is being used for artwork created by heterosexuals also as the double meaning could become degrading. Do you feel that the face of the mainstream LGBTQIA movement is representative enough? Could it do more to reflect the vast range of diversity of queer experience? It is getting better, like when I turn on the TV and I see a reality TV show starring gay men alongside the average heterosexual couple for example I am like damn we’ve come so far. There’s always work to be done. Not everyone understands and that’s where prejudice comes from. It’s like maths some people don’t get algebra they’re like ‘how will this help me in life’ but until you learn what the letters mean and how it relates people become less judging and respecting it more. So yeah we always need more representatives just to educate and stand up for ‘LGBTQIA’ in the places that haven’t been touched yet. What is it that makes music such a powerful tool for confronting prejudice and acting as a catalyst for social change? Everybody listens to music and we’re lucky, it’s so much easier to listen to music now since we learned how to record music, it’s not just for rich folk anymore, it’s on adverts, youtube, radio, cds – which means a diverse audience range can be addressed and thought-provoked through the power of music. It’s like a super power for me not everyone has that ability. What we listen to on the radio can influence our behaviour, you know how some songs make you feel calm or excited, it’s like a form of manipulation. In “Didactic” you express contempt for the misogyny and homophobia which is evidence in certain kinds of rap music. There have recently been calls for such music which promotes the dehumanization of women and LGBTQIA people to be banned; where do you stand in this debate? Well just as I express in my song ‘Didactic’ some things I feel just ruin rap in the sense that it begins to stereotype all rappers into being misogynistic, sexist and angry lyricists but then again thats’ how I feel and music is about expressing yourself and if anyone prefers to differ and wants to put it in lyric form go ahead its up to society to come up with their own assumption and then decide if they want to display that type of music. You are actively involved in Stonewall campaigns in your capacity as Young Ambassador. What first drew your attention to the charity’s work, and sparked your interest in identity politics more generally? I had just decided to take a gap year and wanted to occupy my year doing something rather than doing nothing. I have an interest in psychology and trying to understand people. I felt that campaigning and trying to change views would help me find out ways in changing minds and also understanding the reason why people feel a certain way. It just seemed like a cool little project to set me up for uni. How do you feel about being named a Stonewall Young Person of the Year, and do you plan to continue campaigning in the future? It’s a privilege and I am still overwhelmed. Of course my work does not stop here. What would you most like to say to any young LGBTQIA person who is struggling with their identity, and who feels their desires are not validated by heteronormativity? Realise that you were bought into this world and realise that can only mean… You are worthy, you are welcomed and therefore you’re purpose here should not be dented by a gender preference, a physical attraction or the inability to like just one gender. It should enhance your worth and it should empower you. You are human, you have a heart… Some people choose to love people regardless of gender, sexuality, ethnicity, religion or opinion and some people choose to use their heart to hate all who don’t conform to their idealistic views of how society should be. Well guess what, reality hasn’t hit them yet. You choose what heart you have, you choose who you love because that is a right and it is a generous thing, no body should refrain that from anyone it is nobody’s business. Love is intimate between two people not the whole of society. Keep your head up!